Lock’n Bolt Corporation“Lock’n Bolt”, To be modified as previous page. Bolt is used to secure the products and prevents them from falling apart or becoming loose. 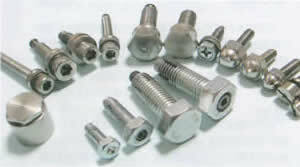 Bolt self-loosening occurs in time with vibrations and movements of the products. Our bolts are specially designed and have self-locking function with friction grip in the threads, and our bolts are loosening-free. Our bolts can be used in various places since they can replace any conventional bolts, when you need the benefit of our locking bolts. Loosening-free super locking bolt which does not need a nut. Copyright © 2013 Lock’n Bolt Corporation. All rights Reserved.